Here we are on the second part of our Cretan luxury holiday. Still in Elounda, it’s where the majority of 5* hotels are. 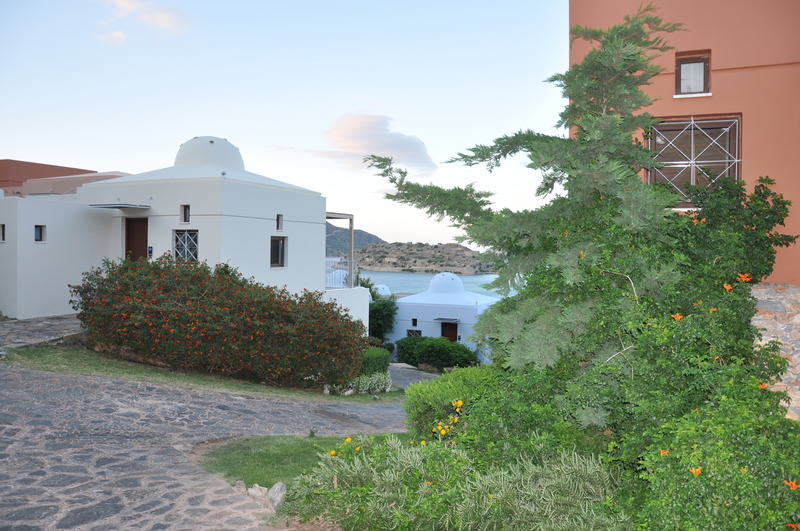 We are at the Domes of Elounda a luxury boutique resort. A favourite with families, its sandy-beachside kids club run by the trusted Worldwide Kids Company (they run the one at the fabulous Sani Resort in Halkidiki where we will be jetting off to for the last week of our holiday). Set into the hillside, the suites with jacuzzis or private pools have spectacular domes in their roofs. Painted in candy pinks, baby blues, terracotta reds and whites, the buildings themselves form part of the stunning views. We ambled each day down paths and stone walkways and steps lined with rosemary, lavender and no end of fragrant colourful flowers, such a world away from urban London. Steps provide easy walking from the highest villas down the hillside to the reception and swimming pool and beach beyond.